Music festivals are hot and crowded and dirty, and the people there smell weird. It costs upwards of $10 for a bottle of water, the sound is sub-optimal, and there’s always some shirtless guy walking around with something stupid painted on his chest. There are countless reasons to dislike outdoor music festivals, most of which can be easily dealt with by simply staying home and drinking iced tea in your backyard. Now, though, there’s a new reason to be annoyed at them, one which will affect even those irascible depressives who eschew community bonding. They’re now getting in the way of us getting new music. 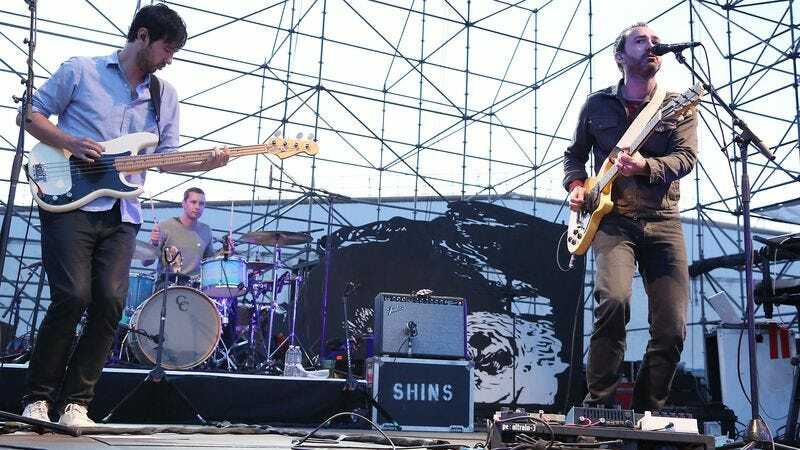 In a recent interview with Portland, Oregon’s KBOO, The Shins lead singer and primary songwriter James Mercer revealed that the release date for his band’s much-anticipated new album—which is pretty much finished and just waiting to crawl up inside our ears—is now being delayed by Columbia until 2017. Okay, life is full of disappointments. We’ve been waiting since 2012 for a new release from the Portland-based band, so what’s a few more months? And what does any of this have to do with cranky, old-man feelings about music festivals?